Victor Shibata, one of the founders of the Manzanar Pilgrimage, passed away on April 17. He was 67. The Manzanar Committee issued a statement, paying tribute to Shibata and his contributions to the Japanese American community. Shibata was born Jan. 25, 1945 in Ogden, Utah, where his parents relocated after leaving the Rohwer camp in Arkansas. He grew up in the Seinan district of Los Angeles and attended Dorsey High School. 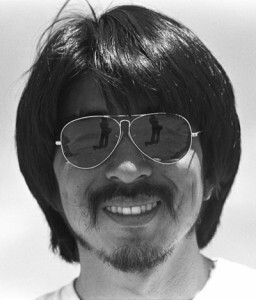 In the late 1960s, Shibata worked as a youth organizer for the Japanese American Citizens League and coached Japanese American youth in basketball. He was also one of the founders of the Yellow Brotherhood, a self-help group based in the Crenshaw District that helped Asian American youth get off of drugs and stay out of gangs. Shibata studied at Cal State Long Beach and Cleveland Chiropractic School, and worked as a chiropractor in the Crenshaw area for approximately 35 years, offering healing and holistic health treatment. Furutani recalled joining Shibata at anti-war marches, when they had the idea of marching to Manzanar. Like so many younger Japanese Americans, Shibata had little or no knowledge of the camp experience. “I thought the camps were this big summer camp everybody went to,” Shibata told the Los Angeles Times in 1989. But in 1969, he was one of those who stumbled upon a white obelisk in the desert, which turned out to be the Manzanar cemetery monument. “We started walking around, and it was like discovering a shallow grave, where the elements had blown the top layer off, and then the grave was exposed, and you could see a whole history,” he added. The Manzanar Pilgrimage is held annually on the last Saturday of April, when the weather is usually warm. But Shibata and the rest of those who attended the 1969 pilgrimage were not so lucky. The Manzanar Committee will pay tribute to Shibata during the Manzanar Pilgrimage next Saturday. Funeral services are private. An open viewing is scheduled for Friday, April 27, from 10:30 a.m. to 12:30 p.m., at Kubota Nikkei Mortuary, 911 Venice Blvd., Los Angeles.